business and retail premises and an equally wide range of social problems. The building was designed to be flexible in order to meet the needs of varying user groups. On the ground floor, adjacent to the entrance there is a small, round, prayer chapel designed to "enfold" those who enter. seek God's presence or just some moments of peace in a busy, rushing world. and tea to be served. 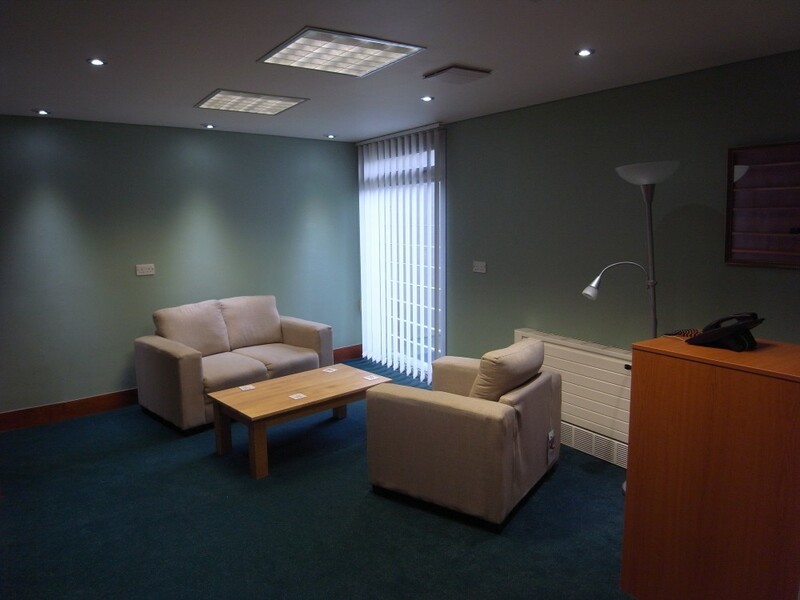 On the first floor we have a large hall which is accessible either by the main staircase or lift. 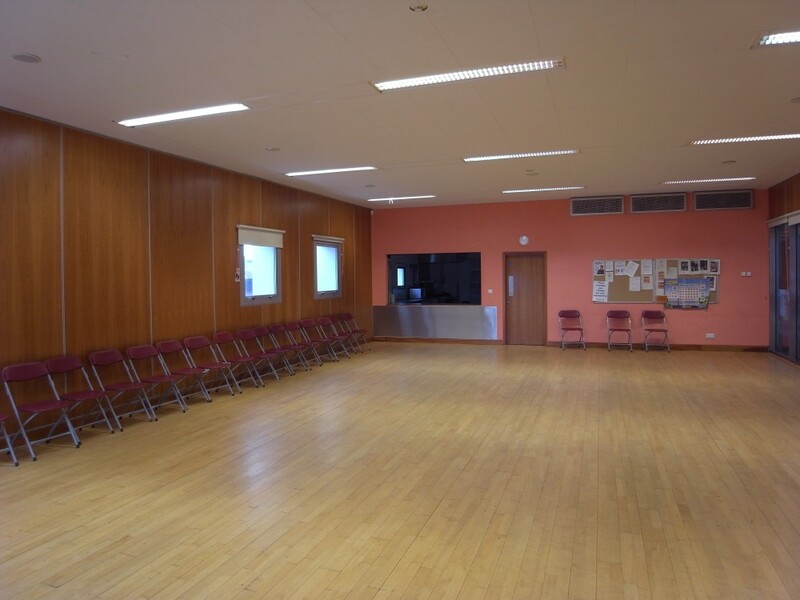 This is suitable for a wide range of uses; it is a flexible and welcoming space for all ages. 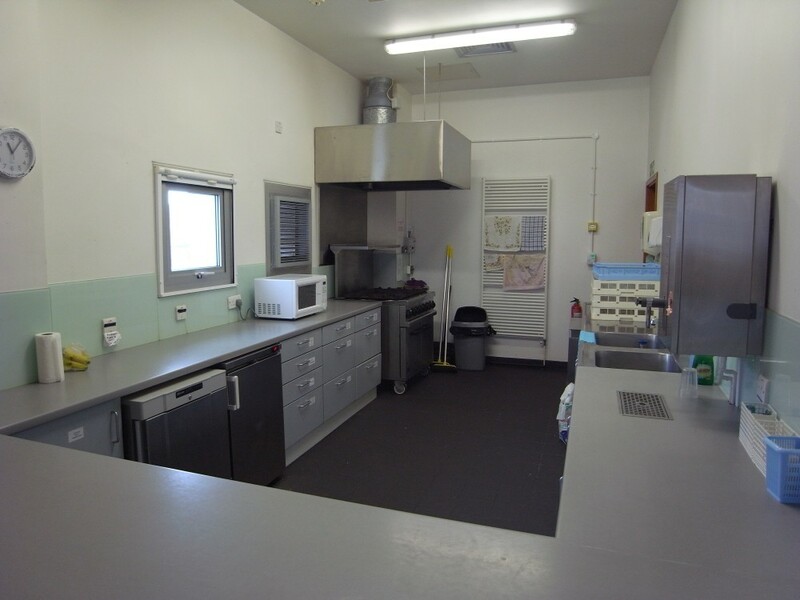 A modern, well equipped kitchen enables meals to be provided. There are suitable toilet facilities on each floor. The main sanctuary is on the second floor. This has a uniquely styled roof structure that allows light to filter down through the stained glass. 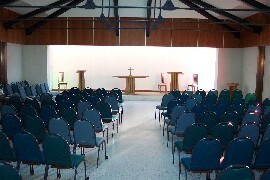 The sanctuary has moveable furniture which makes for more flexible use of the area for differing styles of worship, theatre and meetings. 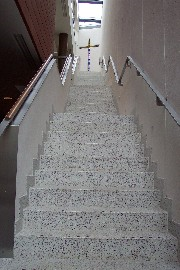 The main staircase is just one of the attractive features of the building, drawing people towards the cross. The church has been designed to be a beacon of spiritual witness, where God's love and saving grace can be proclaimed to an increasingly busy and secular world. It is open to all, not only for worship but for different activities during the week. 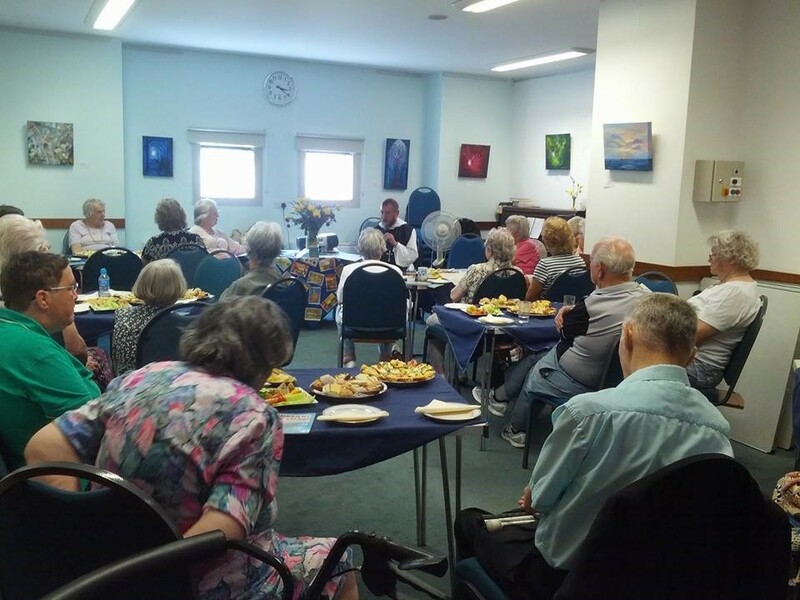 Our aim is to be a Christian presence in the community, building on the tradition of nearly 200 years of worship on this site and providing accommodation for community activities within this Christian centre.